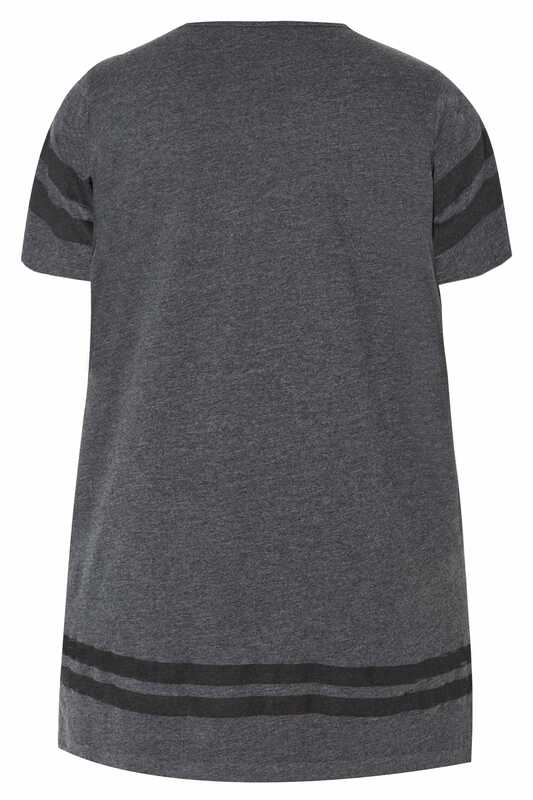 Add varsity-inspired style to your off-duty wardrobe with this casual top. 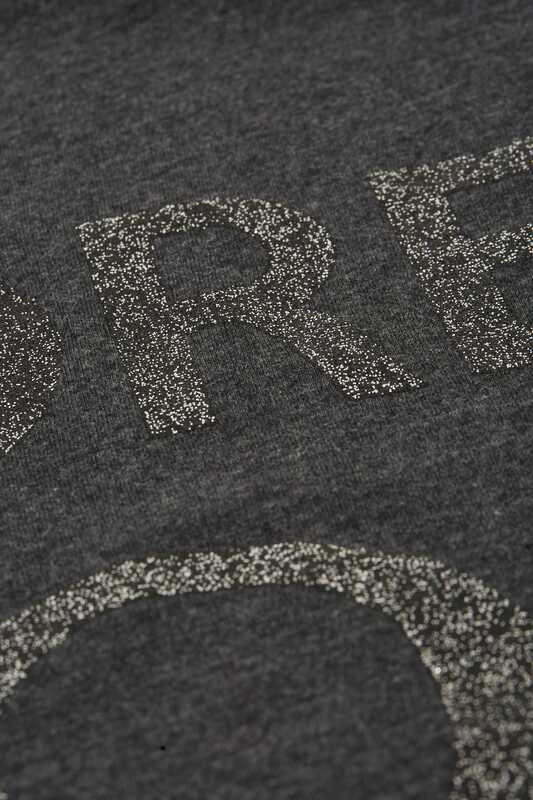 Made from a super-soft cotton blend, it features a slogan print with a sparkling dusted glitter finish and a step hem for extra coverage. 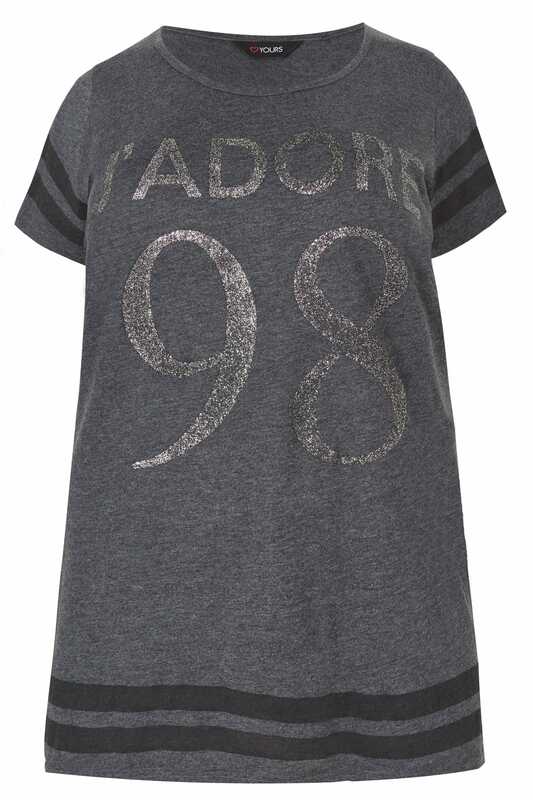 For relaxed daytime appeal, team with ripped denim and a pair of canvas trainers. Comfortable and easy-to-wear, it serves as an easy everyday option.